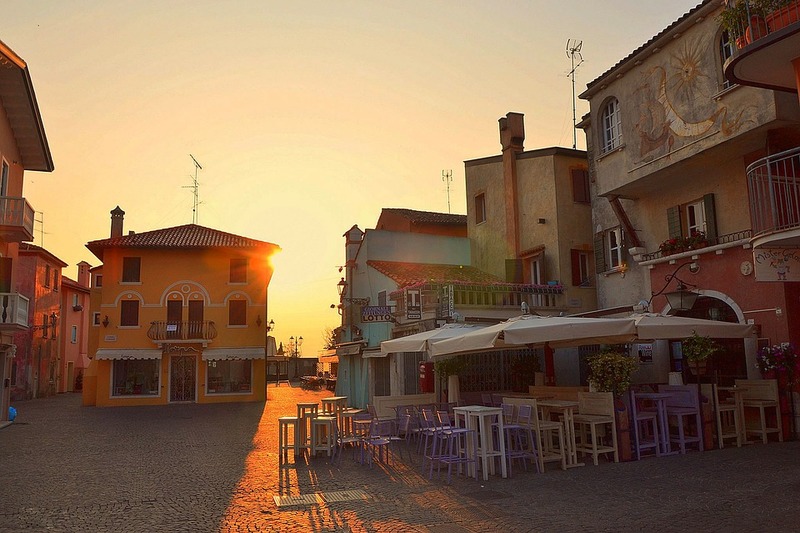 Wandering in the streets of the historical heart of Caorle is a unique experience. The colourful Calli and campielli (typical alleys) painted in Venetian red, ochre and bright blue, lead to St. Stephen Cathedral, with its Oriental allure and the peculiar cylindrical bell tower. Here you can revive the ancient times, when the knights roamed these contradas with their colourful pages, amongst merchants and fishermen. The Cathedral of St. Stephen is the most peculiar monument in town, and was chosen as Bishop’s Seat already in 579. During the 7th Century many inland populations – including the people of Concordia – moved to the lagoons due to the barbaric invasions and to the violent wars between Byzantines and Longobards. Caorle is one of the centres arisen at that time. 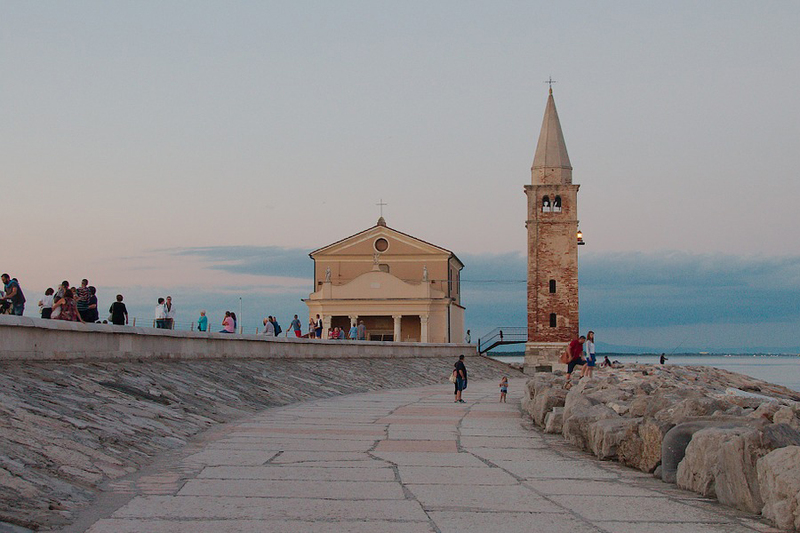 Around the half of the year 1000, the inhabitants of Caorle started the construction of the temple dedicated to St. Stephen (the Protomartyr), which would have been the Cathedral church until 1818. The Cathedral was built close to the sea, now hidden by the breakwater barriers, which has its peculiar smell and is rich in fish. The bell tower, built independently, is a rare combination of a medieval cylindrical construction and a sacred building, the perfect architectural synthesis of the previous shapes and works of the highest Romanesque style. 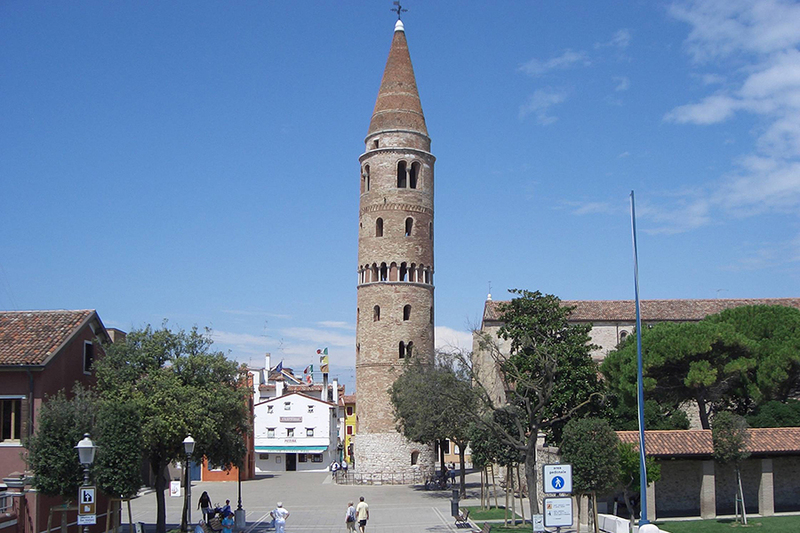 Despite being in the territory of the ancient Venetian Republic, the imposing bell tower is characteristic of the Ravenna style, also because of its distance from the Cathedral. These unique features have turned the bell tower into the symbol of the town. During pre-Roman times, the whole Adriatic area from Ravenna to Monfalcone was a long, uninterrupted lagoon. Caorle and other towns facing the sea were small islands in this peculiar setting. 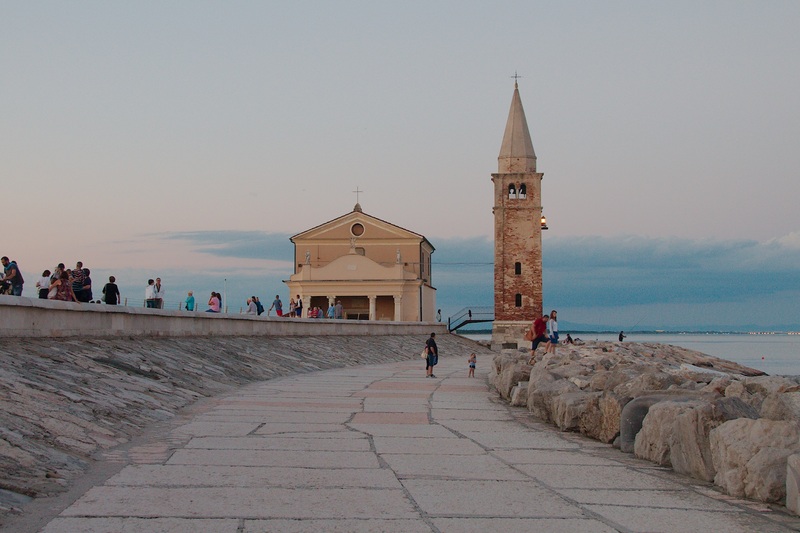 The suggestive group of buildings that makes up the centre of Caorle gradually arose adjacent to the fishing valleys, silent witnesses of an earlier, much wider body of water. 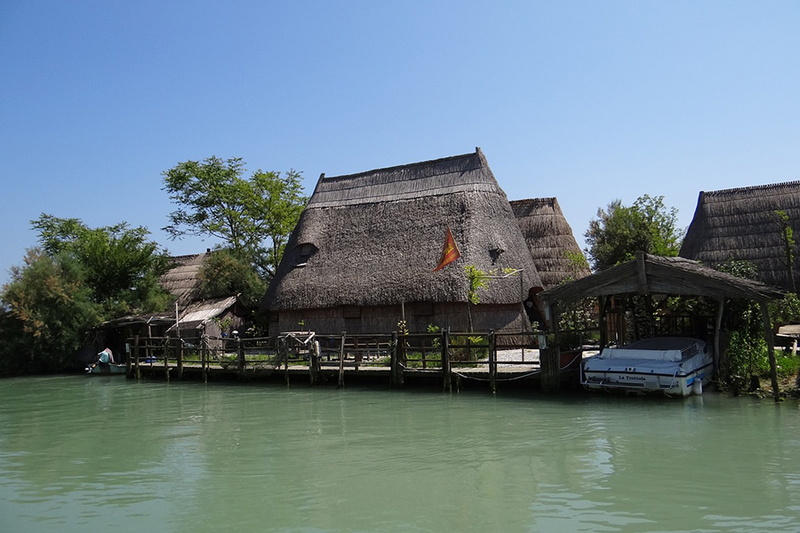 Nowadays they can be visited on pleasant boat trips or bike tours, including a close look at the traditional casoni of Caorle, rural huts covered by reeds and inhabited by fishermen, immersed in the silence of nature. 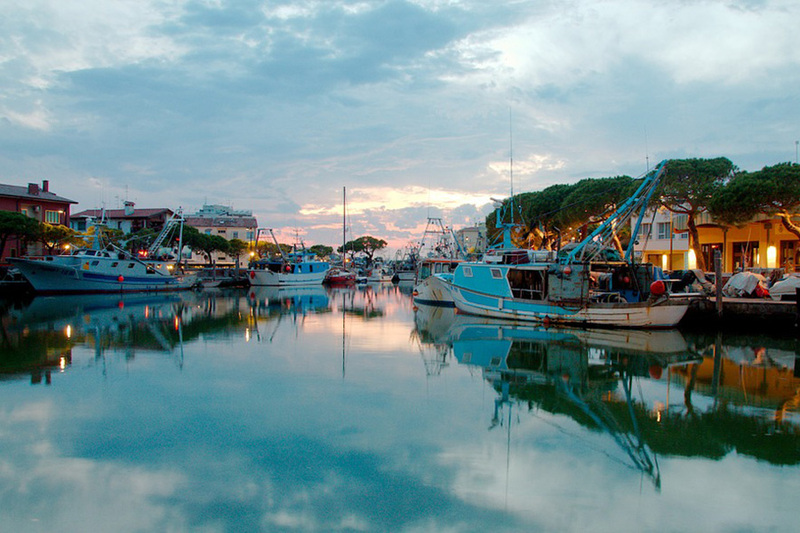 The fishing harbour of Caorle, reaching the town centre, resounds day and night with the noise of fishing boats that unload the fish at the market, which is one of the most important in this stretch of coast.